The folks here at Severin have been involved in the production of some incredible Special Editions over the years including The Mondo Cane Collection, The Texas Chain Saw Massacre (the original, not that hideous abomination from a few years back), Maniac, Henry: Portrait of a Serial Killer, The Roman Polanski Collection, Hardware etc etc. But in terms of the quality of the special features, Santa Sangre is going to be a difficult Special Edition to rival in our canon. After all, this is a movie as much as any other that truly deserves the red carpet treatment and it took us many years of hot pursuit to untangle the rights. In addition to the high definition master transferred in Rome from the original negative under the supervision of Director of Photography Daniele Nannuzzi we have assembled bits and pieces dating back to the production of the film. So for the next few blog entries I’m going to give some detail of the gems that you can expect in the Blu-Ray and Double Disc DVD package. Firstly I’d like to introduce some of the characters that were interviewed for the new feature length documentary Forget Everything You Have Ever Seen: The World Of Santa Sangre. This doc was shot over the last five months in five different countries (three states in the US, England, Italy, France and Mexico) in five languages (English, Italian, French, Spanish and American sign language) — probably the most international documentary we’re done yet. The doc will be split into seven distinct chapters: Back from the Wilderness, A Return To Mexico City, Circus World, The Allure Of The Tattooed Woman, Mother & Other Females, The Music Of Sangre and Aftermath. 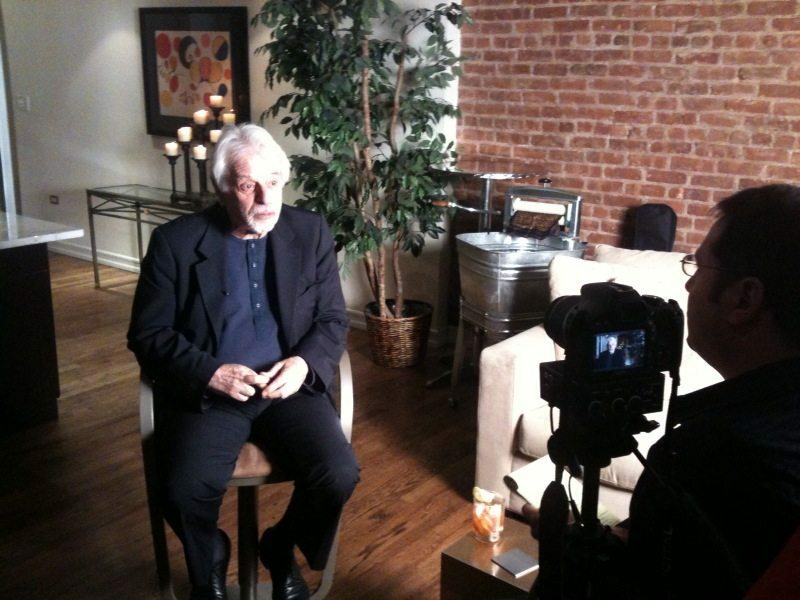 Alejandro Jodorowsky: For Severin regulars this man needs no introduction. His midnight movie landmarks El Topo and The Holy Mountain helped define the term cult movie. 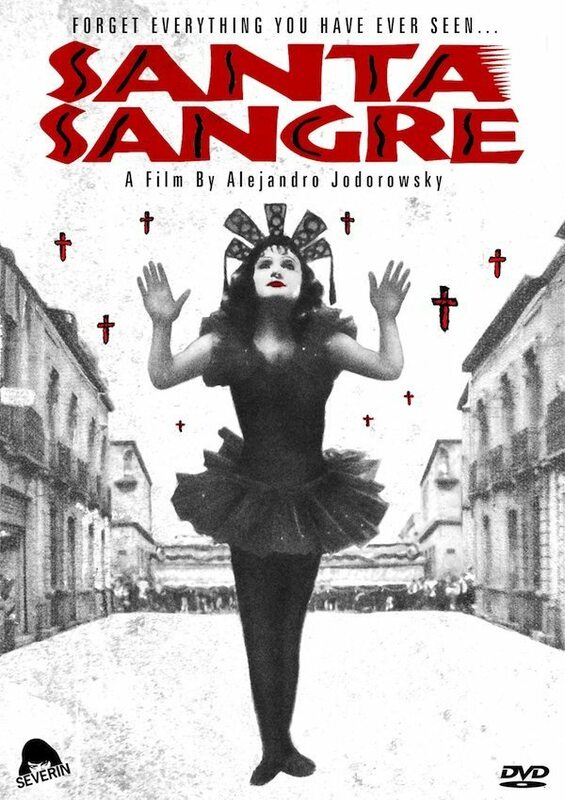 And Santa Sangre is arguably his masterpiece. He was recently in New York for a retrospective of his movies (except Tusk) at the Museum of Art & Design and he sat down for us to discuss his experiences on SS — of which he is incredibly proud but which sadly he can no longer watch because it features his late son Teo. For completists the disc will also include the commentary we recorded with Jodo in 2003, an on-stage Q & A at London’s Institute of Contemporary Art, a previously unpublished interview wherein he discusses Fando, El Topo, Holy Mountain, Tusk, Dune, Rainbow Thief, Story Of O, the Allen Klein feud (which was still going on at the time), Marcel Marceau, Lynch, Dali and reveals the man he hates more than any other in the world. All this and much, much more. Forget Everything You Have Ever Seen, however, may well be the most in-depth investigation into the process of bringing what is in the mind of Jodorowsky to the screen. Thelma Tixou: The overpowering yet hypnotic presence of the tattooed woman in Santa Sangre is one of the most memorable in a movie literally chock full of indelible characters. And the lady beneath the ink has a story just as intriguing, exotic and tragic as you’d expect. Thelma was born in Argentina into a humble Polish-Lithuanian family. She danced as a showgirl and attracted a lot of attention because of her 6 ft. plus frame. She starred as an Italian prostitute in international arthouse hit La Muchacha del Cuerpo de Oro and subsequently became a superstar on the showgirl circuit in Mexico. At the peak of her dancing career she was filling venues every night all over the country. Alas the riches she amassed from her dancing were to be siphoned off by a deceptive husband. Thelma was one of the most difficult to track down of all the participants in the doc but once we did was delighted to share the stories of her life and the unbelievably strenuous (not washing for the duration of the shoot and sleeping in certain positions so as not to disturb the ink) and daring (she insisted on not using a double for the knife throwing scenes) work on the film, which she considers a career highlight.